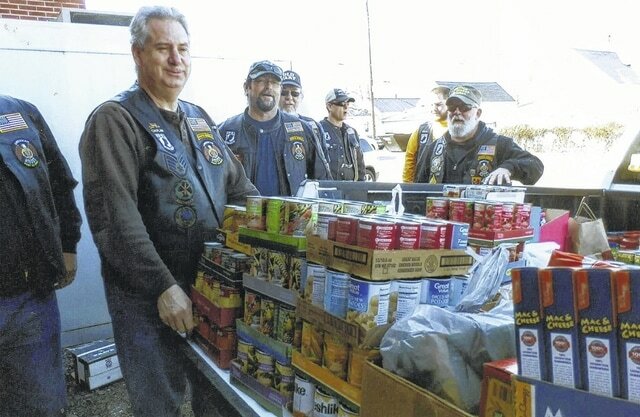 The American Legion Post 25 Riders held their Polar Bear Run on New Year’s Day, raising a truckload of food items. The riders recently delivered the food to The Well at Sunnyside. Riders Vice President Brian Finney thanked the members who helped to cook and serve breakfast, and said that everyone had a super time and that he is looking forward to doing this again in 2018.
https://www.recordherald.com/wp-content/uploads/sites/27/2017/02/web1_img515.jpgThe American Legion Post 25 Riders held their Polar Bear Run on New Year’s Day, raising a truckload of food items. The riders recently delivered the food to The Well at Sunnyside. Riders Vice President Brian Finney thanked the members who helped to cook and serve breakfast, and said that everyone had a super time and that he is looking forward to doing this again in 2018.